Home Feature PAX East 2018: Take a Break and Enjoy Boston! 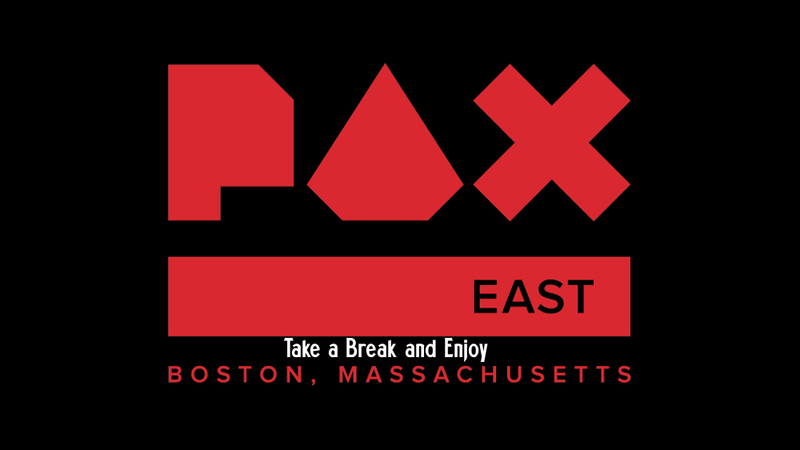 PAX East 2018: Take a Break and Enjoy Boston! Of course I have to put food first and foremost because everyone has to eat, and while I know many attendees at conventions go for the cheapest, I am here to suggest places for those willing to indulge a little or look outside the box. Pete’s Dockside (12 Channel St, Boston, MA 02210) – Wonderful little diner/breakfast spot in the warehouse area of South Boston. Only open on weekdays, but you can’t go wrong here. A few in my group make sure to hit this spot every year as their breakfasts will provide the energy needed to go about your days at PAX East. Row 34 (383 Congress St, Boston, MA 02210) – If you love oysters, this is the place to check out. For those like me who don’t, they still have a great menu that I am sure you fill find something to enjoy. While a little pricier than most places on my list, their craft beer list is phenomenal and I have never been disappointed. Chinatown – Whether you are looking for Dim Sum, Peking Duck, or more Americanized Chinese food, a short trip to Chinatown is worth it. Every place I have tried in Chinatown has been worth the trip alone, so you’re guaranteed to find something you like. Once you’re finished with your meal, head to one of the local bakeries for some dessert. Larry J’s BBQ Cafe (600 D St, Boston, MA 02210) – Located near the Renaissance Hotel, the BBQ here is top notch. With various BBQ options like brisket, pulled pork, sausages and more, you’ll forget that you’re way up north in Boston eating this delicious southern-style food. 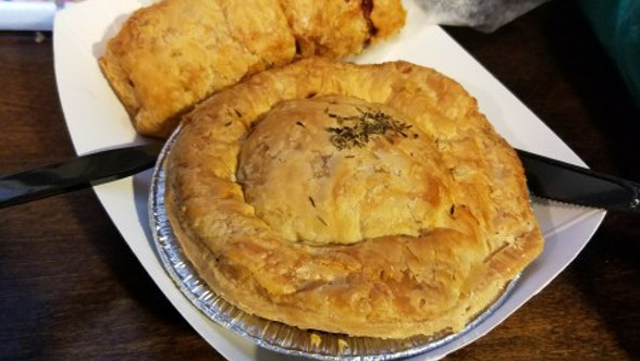 KO Catering and Pies (87 A St, South Boston, MA 02127) – I had never had Australian meat pies before, so for my first time trying them last year they were deliciously surprising. It is super tiny within the restaurant, but the food is worth coming by and checking out even if you get it to go. For those wanting to be more of a tourist and want to experience things more along the lines of historical and educational, you can check out the following places. I have never been one to be too interested in going out and acting like a tourist much, so this list is compiled of a few recommendations I’ve received over the years. The Institute Of Contemporary Art (25 Harbor Shore Drive, Boston, MA 02210) – Not only is it an art museum, but it’s on the waterfront with glass-filled walls that let you look out over the harbor. So you can experience the waterfront view and artwork at the same time. Freedom Trail (139 Tremont St, Boston, MA 02118) – While I have never been, I know many whom recommend this tour for those interested in American history. Black Heritage Trail (14 Beacon St, Boston, MA 02108) – Another tour I’ve heard recommended a lot, with a focus on African American history in the 19th Century. If you consider yourself a beer lover, then here are some spots you definitely can’t miss that are pretty close to the Convention Center. Ranging from breweries to places to pick up something to drink later, you’ll definitely find something in your favorite style. 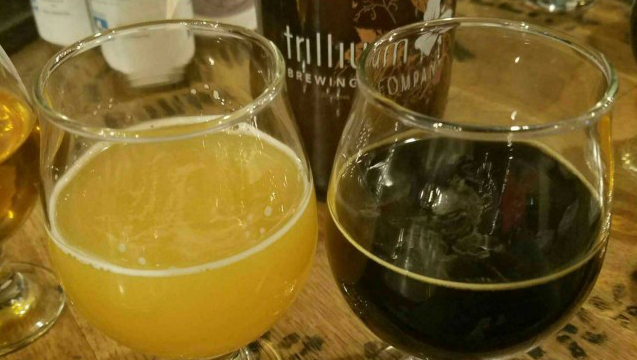 Trillium Brewing (369 Congress St, Boston, MA 02210) – The original location of Trillium (tucked back in a side alley) which has now expanded to a larger tasting room in Canton. You can still buy beer to go, merchandise and more from what many consider to be one of the top three craft breweries in the U.S.
Fort Point Market (369 Congress St, Boston, MA 02210) – You can find this spot in the same building as Trillium (Street side), and their selection of Craft beer will most likely surprise you. Not only do they carry a lot of local beers in cans and bottles, they also carry a lot of harder to find breweries from around the country. Always worth a trip if you’re looking for stuff to drink at your hotel or take back home with you. Harpoon Brewery and Beer Hall (306 Northern Ave, Boston, MA 02210) – While a larger brewery, many will find this worth a visit to do brewery tours, and try fresh and new beers. Just be aware the Beer Hall is 21+ only on Saturdays. American Provisions (613 E Broadway, South Boston, MA 02127) – This place a selection of harder to find releases of craft beer, but you will be paying along more premium prices. While you are here, I recommend you check out their great selection of cheeses, meats and more. Sports fans can rejoice, as quite a few sporting events will be taking place while PAX East is in town this year. You can’t go wrong when all three of the major league teams are in town! Boston Red Sox (Fenway Park – 4 Yawkey Way, Boston, MA 02215) – The MLB season will be just kicking off right before PAX East, and the Red Sox will be playing a three-game series against the Tampa Bay Rays while the convention is being held. Game dates are 4/5, 4/7, and 4/8. Boston Bruins (TD Garden – 100 Legends Way, Boston, MA 02114) – For the hockey fans our there, you get a chance to see a couple games. The Bruins are playing the Ottawa Senators on 4/7 and Florida Panthers on 4/8. Boston Celtics (TD Garden – 100 Legends Way, Boston, MA 02114) – Not to be left out, the Boston Celtics also have two games during PAX East. As they make a push towards the end of the season, you can check them out playing the Chicago Bulls on 4/6 or Atlanta Hawks on 4/8. While there is definitely more to experience in most of these categories, I hope this is a good starting point for anyone looking for more to do when PAX can sometimes begin to feel overbearing and exhausting. I know from personal experience that PAX can be overwhelming regardless of how many times you’ve attended, so feel free to step away, try something new, and come back refreshed and recharged. If anyone has access to a vehicle and is looking for great local craft beer to enjoy within a short driving distance of downtown Boston, feel free to hit me up and I can recommend a handful of breweries worth your while that I make sure to hit every year I drive up. Have a safe and fun PAX East, and feel free to say hi. You can find me on the SG Discord or on Twitter if you would like to meet up.